wedotanks® has a customer base of over ninety entities, both public-and private, and besides its engineering and design work it has worked both as a general contractor and as a subcontractor but specializes in design/build projects. WEDOTANKS® IS REGISTERED BY SAM, The System for Awards Management, and as such can bid on any federal contract within wedotanks® Scope of Business Expertise. 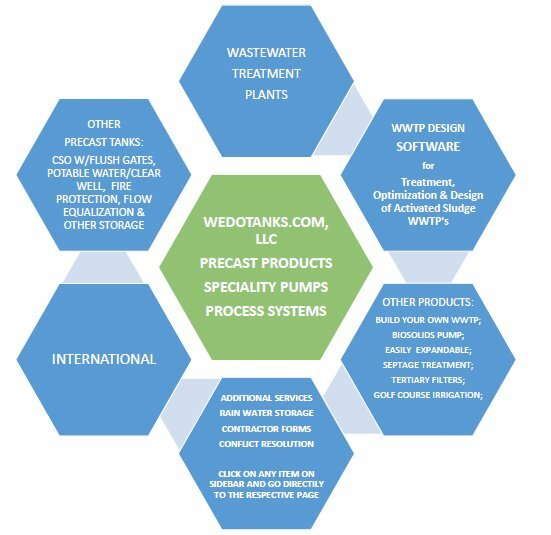 wedotanks® can take a turn-key approach and make it as comprehensive as the client would like: We can operate as your total WWTP project management solution, or we can work with your wastewater treatment plant consultants and site engineers as an integral part of your technical and planning team. We have precast concrete tanks, water and wastewater treatment plants design and build installations in Georgia, Michigan, Minnesota, Ohio, Indiana, Illinois, Kansas, Kentucky, New York, North Carolina, South Carolina, and Wisconsin and our engineering specialty is civil/process engineering. 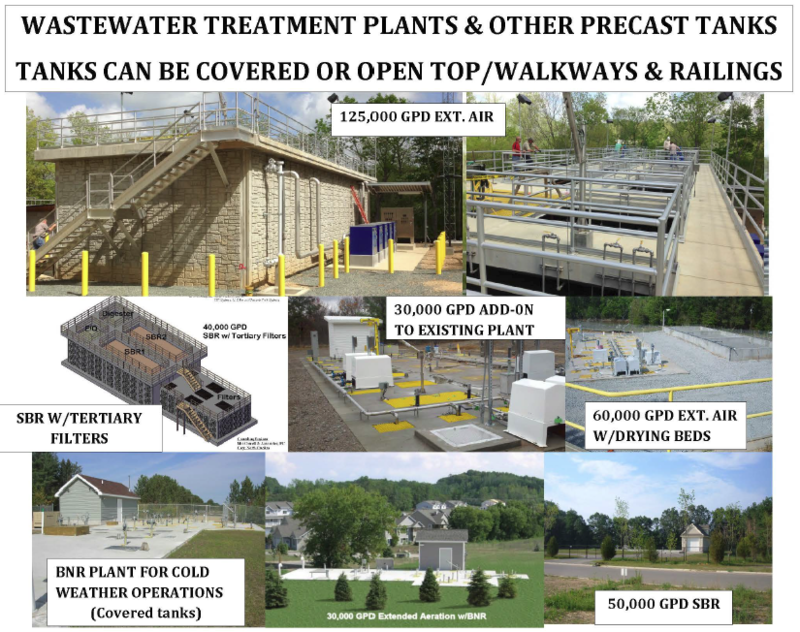 wedotanks®‘s Mission is to provide precast concrete tanks, WWTP design/engineering services and solutions that insure that wedotanks®clients processes operate at their greatest efficiency and in the most cost-effective way possible. 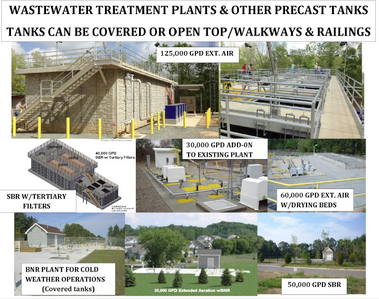 Specifically wedotanks® offers engineering services for the design, construction, and operation of water treatment, wastewater treatment and purification plants and other public and private infrastructure facilities. Our engineering services are unique in that we charge by the project and not by the hour so you can project costs for specific projects in a very precise manner if you utilize our services. We have obtained professional engineering licenses to practice in the states of Arizona, Georgia, Kentucky, Michigan, Maryland, New York, North Carolina, Pennsylvania, South Carolina, Texas, and Wisconsin. We will soon be licensed in the States of Illinois, Indiana, Ohio and Minnesota also! Currently we are emphasizing our international expertise: see the “Build Your Own Wastewater Treatment Plant” if you are outside of the United States and see how this can work for you. All of our projects are covered by professional liability insurance. Also, we are now offering engineering/design, assembly and site construction of steel plants (bolted and unbolted) to our array of offerings! Free Perpetual Sasspro®™ design compliance software with each proposal request for a new or expanded WWTP from March 1 through June 30, 2018. Watch the installation of a new wastewater treatment plant. Here's a fun 2 minute time lapse video. WeDoTanks.com has experience in the engineering design, build and installation of wastewater treatment plants worldwide. Here are some of our most popular plan designs.